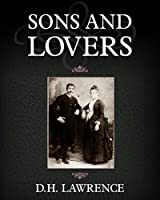 We don't have a description for Sons and Lovers, but if you head over to Amazon they'll be able to tell you what this book is about! I really, really liked this book. I kept flitting between wanting Paul and Miriam to get together, then Paul and Clara, then neither, and then liking the characters and then not. It takes a good author to make you keep guessing at the outcome and to keep you changing your mind on what you want the outcome to be.